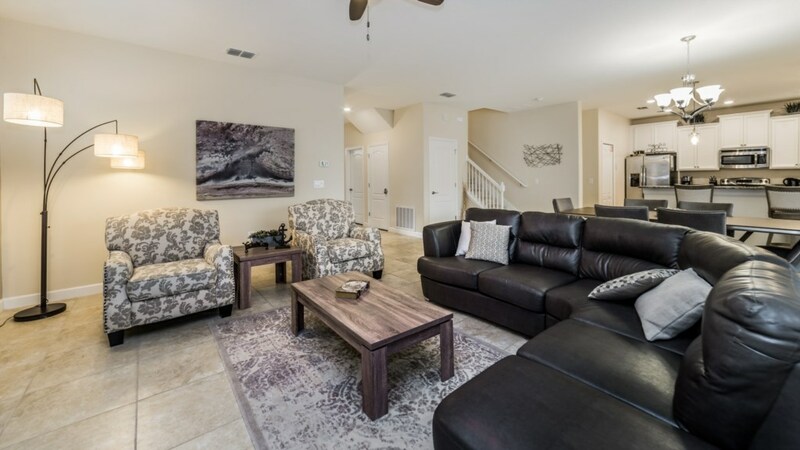 We welcome you to this bright and beautiful 6 bedroom, 6 bathroom home that sleeps 12, located in the beautiful resort community of Champions Gate. 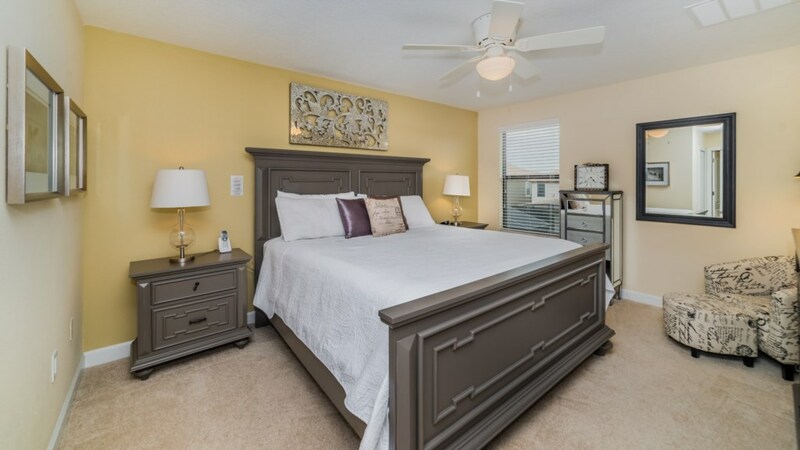 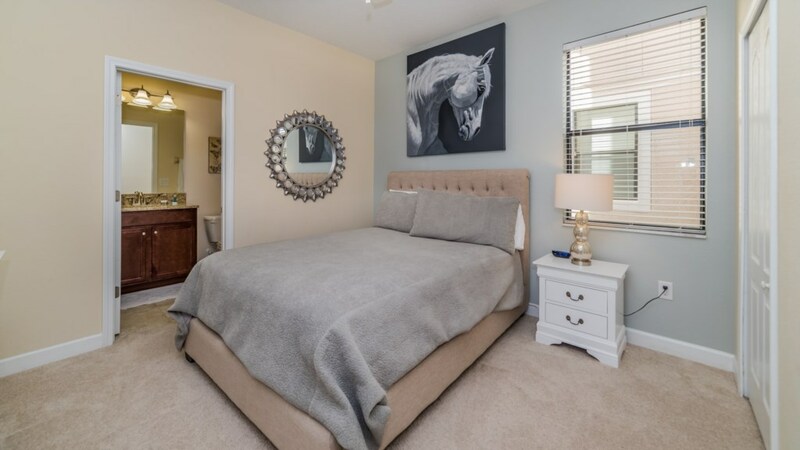 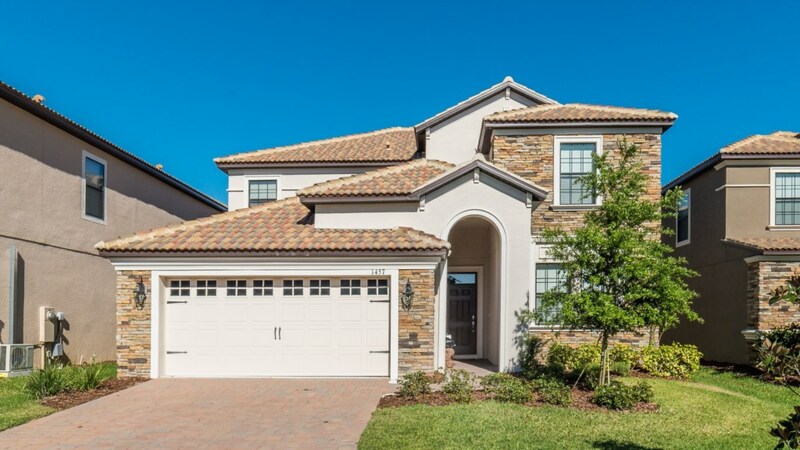 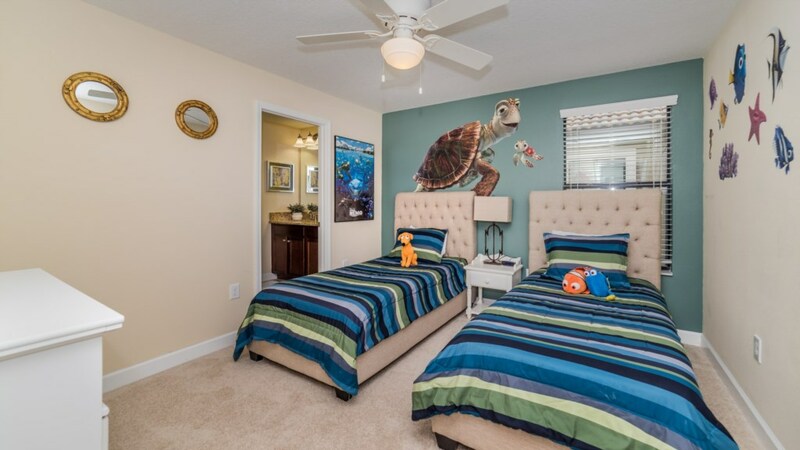 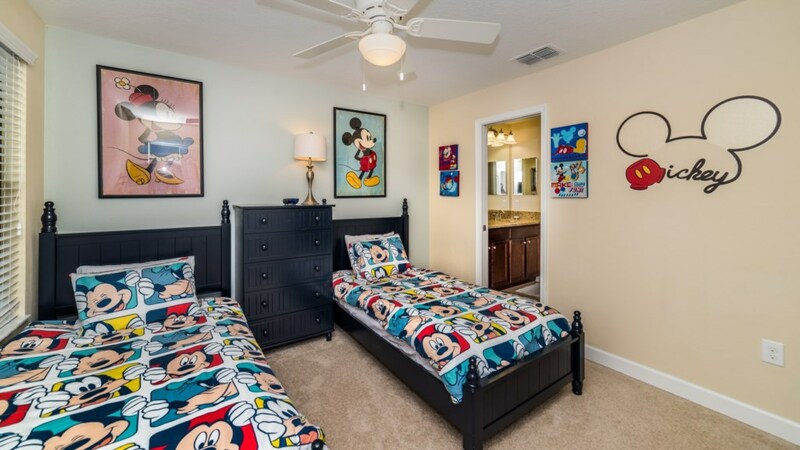 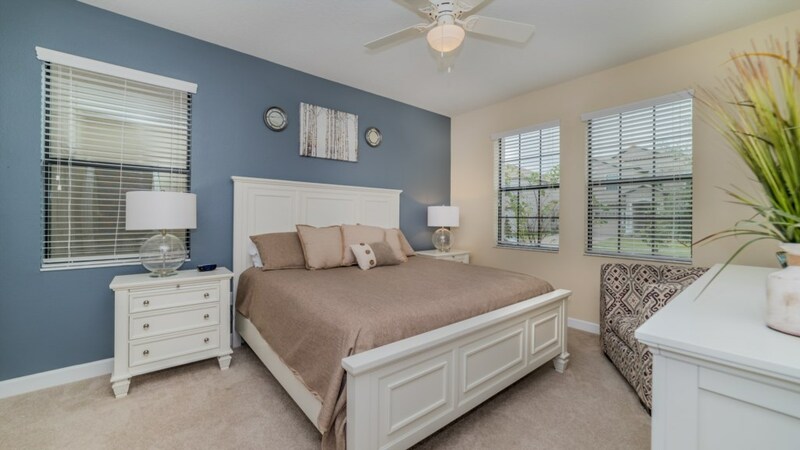 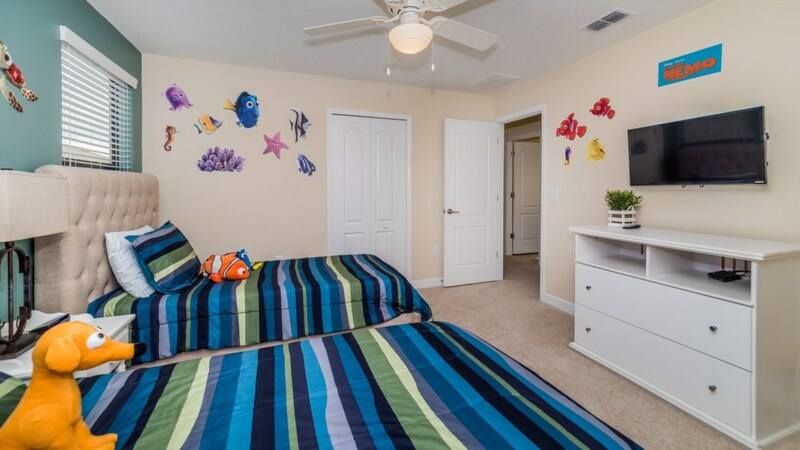 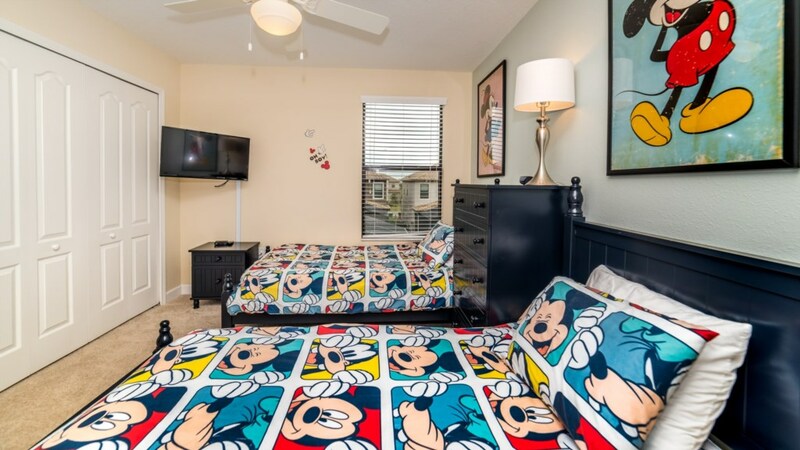 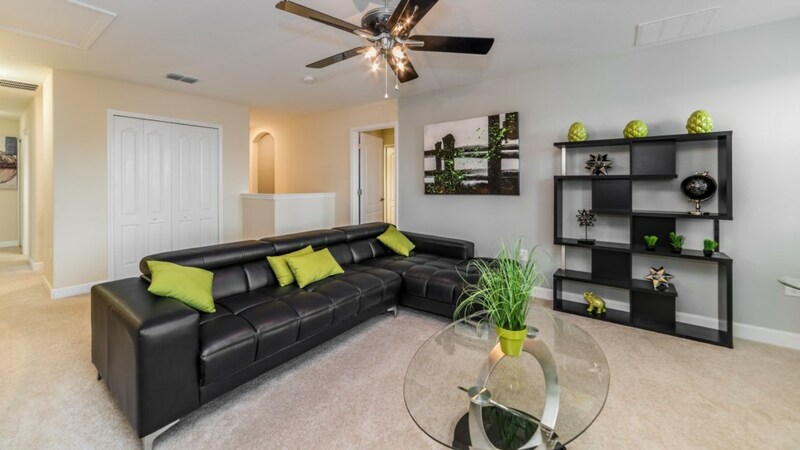 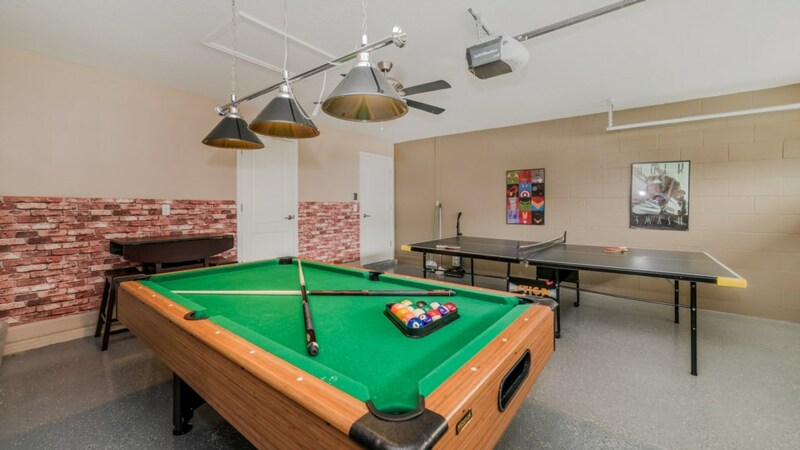 This community is located just a short drive from the Orlando attractions! 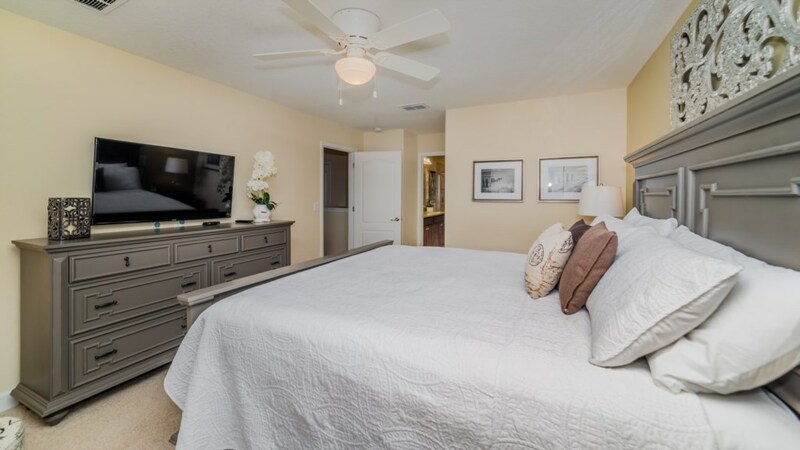 This wonderful home will feel like your own home-away-from-home with so many furnishings to make your stay convenient. 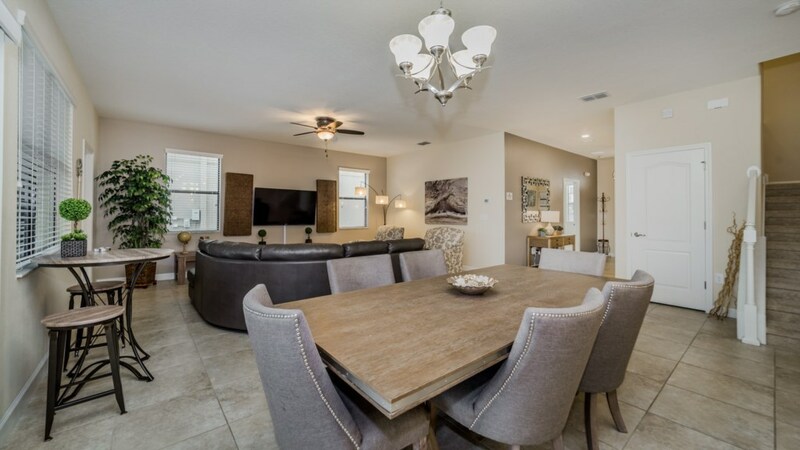 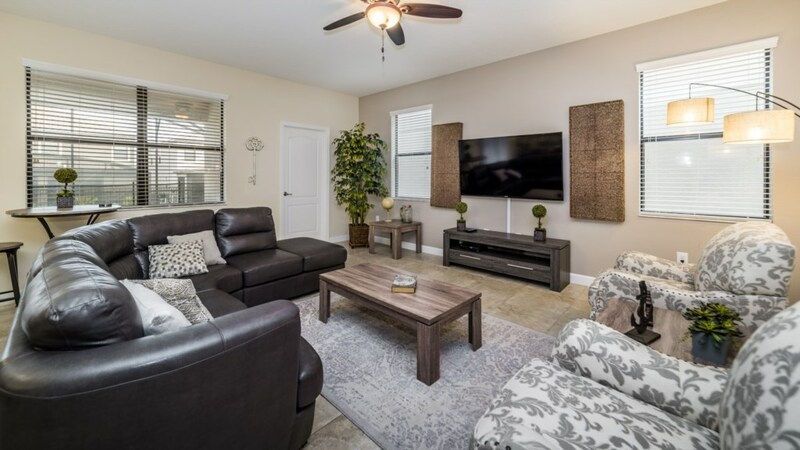 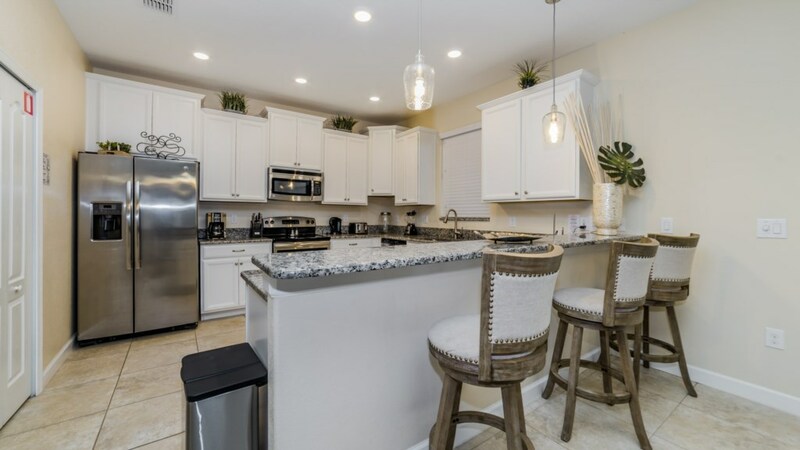 This vacation home has been awarded our Grand Status because of its stunning furnishings and upgrades including a leather furniture package, stainless steel appliance and granite countertops. 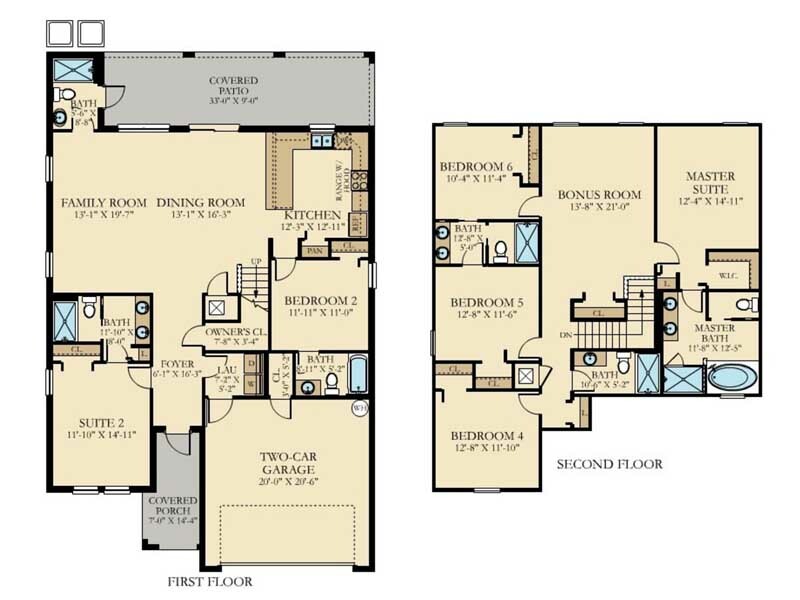 It is spacious with an open concept floor plan. 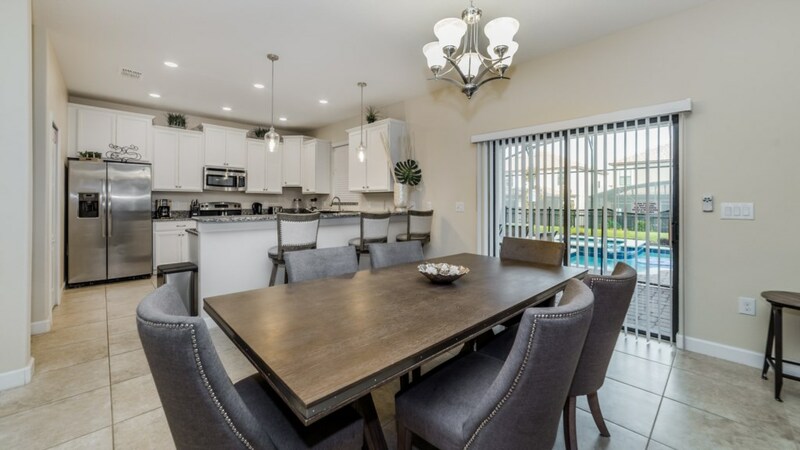 There is plenty of seating at the bar, the kitchen table and the dining room table. 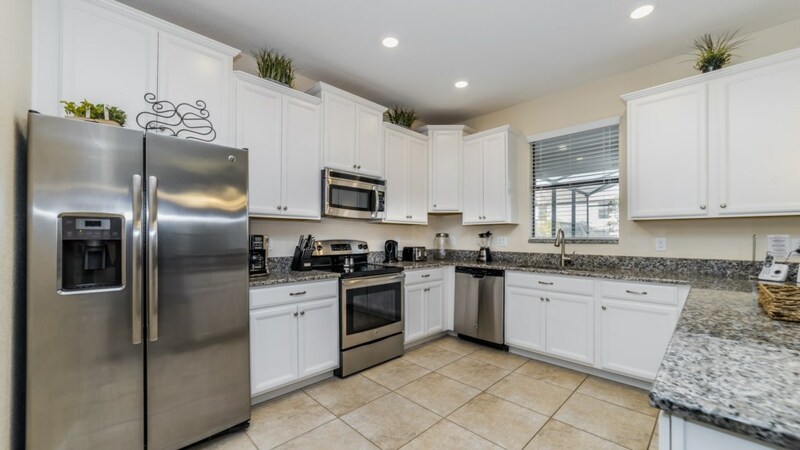 While there are many great dining options nearby, there is a fully equipped kitchen for any chef. 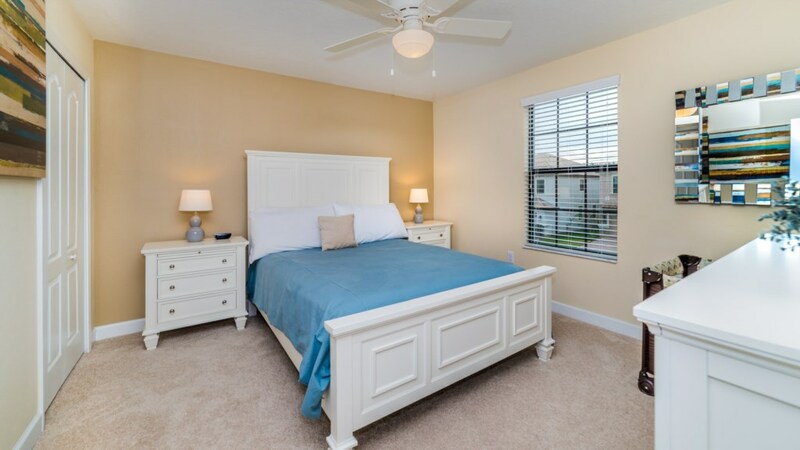 There are 2 king bedrooms, 2 queen bedrooms, two full bedrooms and 2 bedrooms with two twins – plenty of space for everyone! 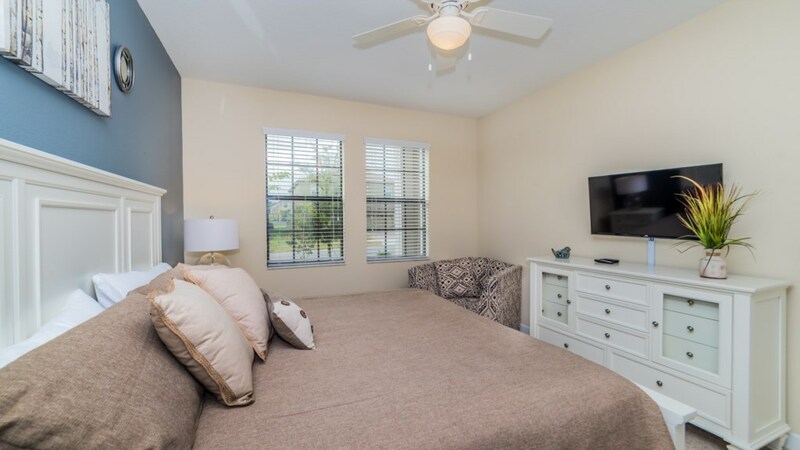 After a long day in the parks, come home and relax in your very own screened-in private pool and spa. 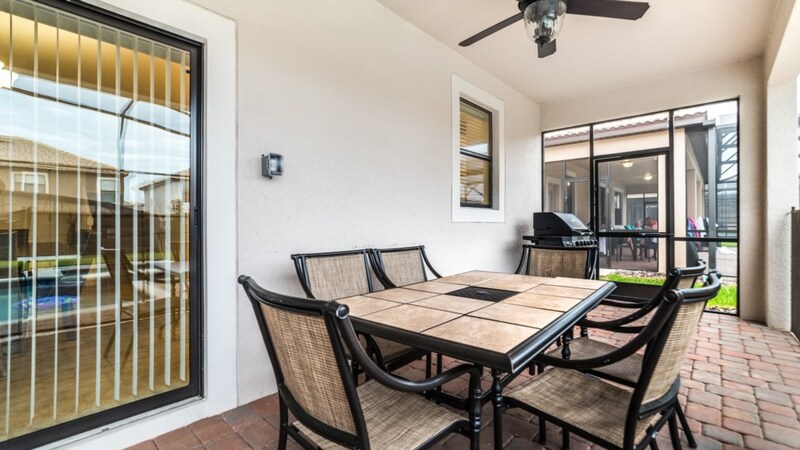 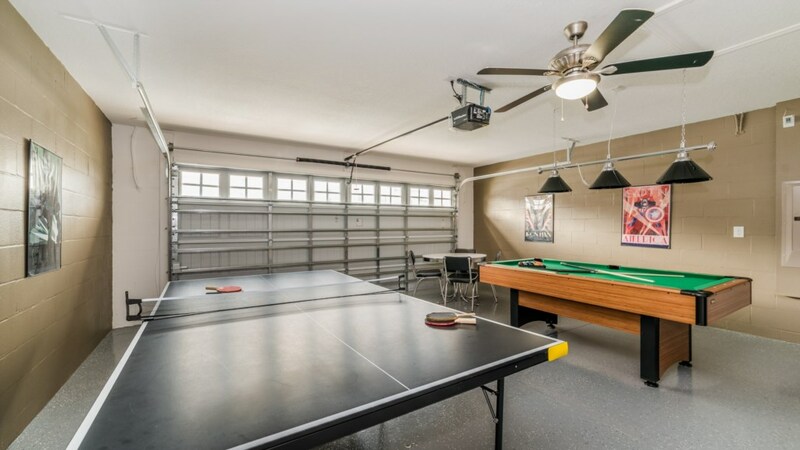 Complete with lounge chairs and a dining area, you can really enjoy the great Florida weather! 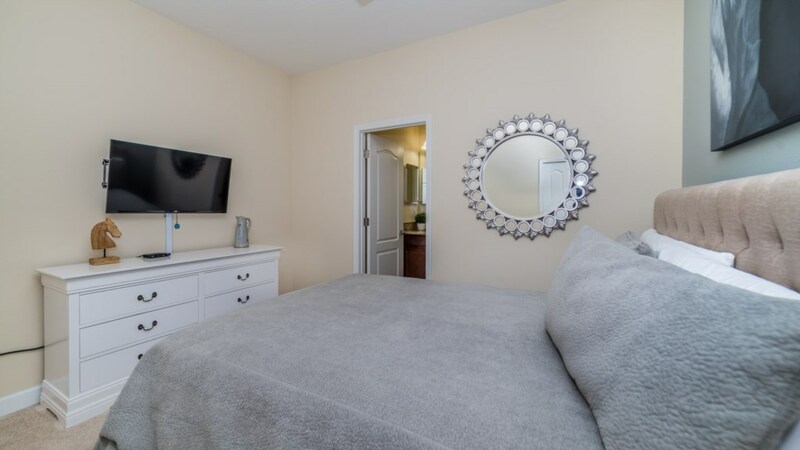 For your convenience, there is a washer and dryer and free Wifi! 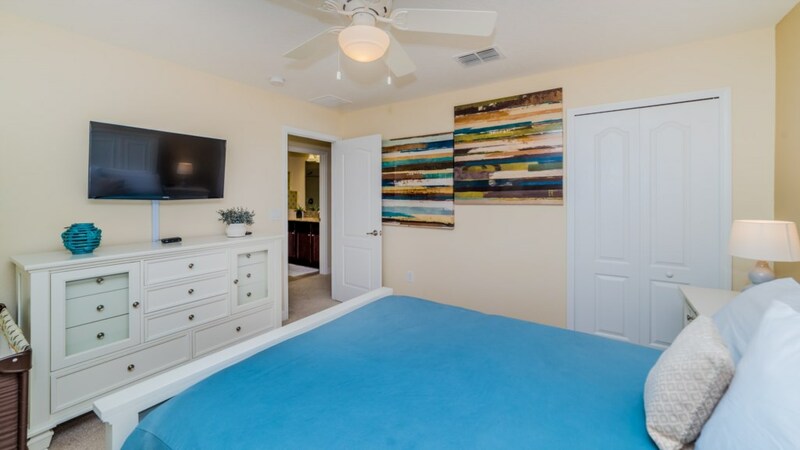 Don’t hesitate, please call today and speak to one of our reservationists or book online. 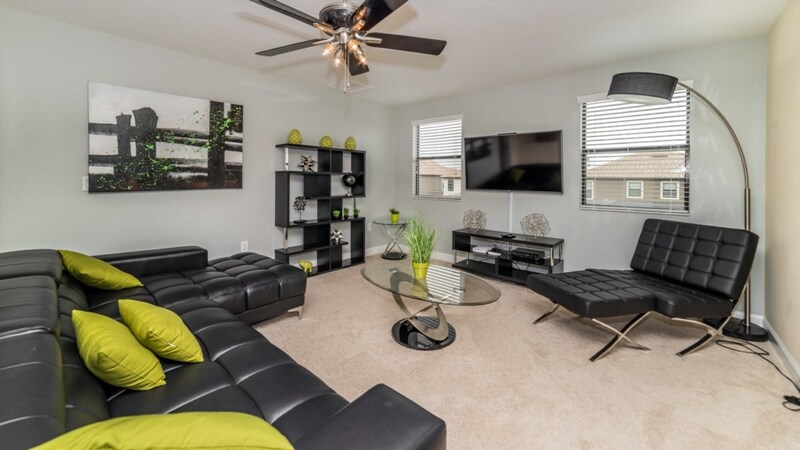 This beautiful home awaits your arrival!